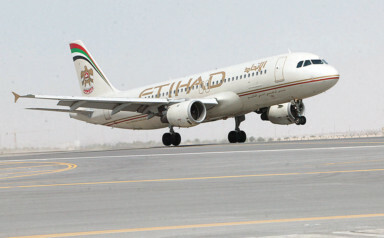 Dubai: Passengers travelling with Etihad can score cheaper tickets through the airline’s newly launched fare scheme. The Abu Dhabi-based carrier announced on Sunday that it is rolling out its “hand baggage only deal fare” across selected destinations, allowing travellers to save money on tickets in economy, provided they travel light. That is, they travel only with a carry-on bag. The airline first carried out a trial of the new scheme late last year, and customer feedback indicated that flyers actually like the idea of having more wallet-friendly fare options. With the new deal, flyers can enjoy discounts on fares and carry with them a cabin baggage of up to seven kilos and opt not to check in any luggage. So far, the promotional fare can be availed of in flights between Abu Dhabi and Bahrain, Kuwait, Oman, Saudi Arabia, Jordan, Lebanon, Egypt and Azerbaijan. “After a successful trial of the deal fare late last year, purchasing behaviour demonstrated guests appreciate having more choice and like to be able to select the travel option that best meets their needs,” said Robin Kamark, Etihad chief commercial officer. This is not the first time an airline is offering a "hand baggage only fare." Back in 2015, SpiceJet announced it is offering discounts to flyers who travel only with a carry-on bag. Travelling light is said to be environmentally friendly, as it can help reduce fuel consumption. To further strengthen its brand, the airline has recently launched a new major partnership with the Italian fragrance brand, Acqua di Parma. Starting August, the UAE national carrier introduced a range of exclusive amenity bags and toiletries for its customers travelling in The Residence on its Airbus A380, and on long-haul First Class and Business Class services.